Sure, I can certainly agree with flying the maneuvers more in a manner flown by the full scale aircraft as opposed to the perfect geometry we strive for in IMAC and Pattern. My comparison of scale competition and aerobatic competition was more in the areas of constant ground speed and airspace utilization. Ok its a motorglider capable of powered or non powered flight. In the wind conditions as a judge I expect to see a demonstration of non powered flight like a straight flight out or a descending circle with the engine off and simulated prop feather. Increasing downward pitch enough to maintain ground speed may not look very scale like and the loss in altitude from the point of Starting Now to Complete isn't going to score all that well. A little bit of ballast might allow a build up of speed and better penetration at a more realistic pitch angle throughout the maneuver. Coming in for a landing not prototypical for a near vertical landing in wind but ballasted for forward penetration a more prototypical landing and roll out could be achieved. The op seems to have a better grasp of what needs to be accomplished than you do for all your experience. No more back and forth I've tried to explain it to you slowly but I give up. Going to wait to see how ballasting works out for the op as he seems to have decided to give it a try. For the OP, if your goal is to fly the model in a realistic fashion then I would suggest viewing a few videos of the full scale aircraft in flight. I spent about an hour going through some videos and looking at pictures. Not too surprising is the fact I could find no pictures or videos of the airplane in flight with the engine shut down. 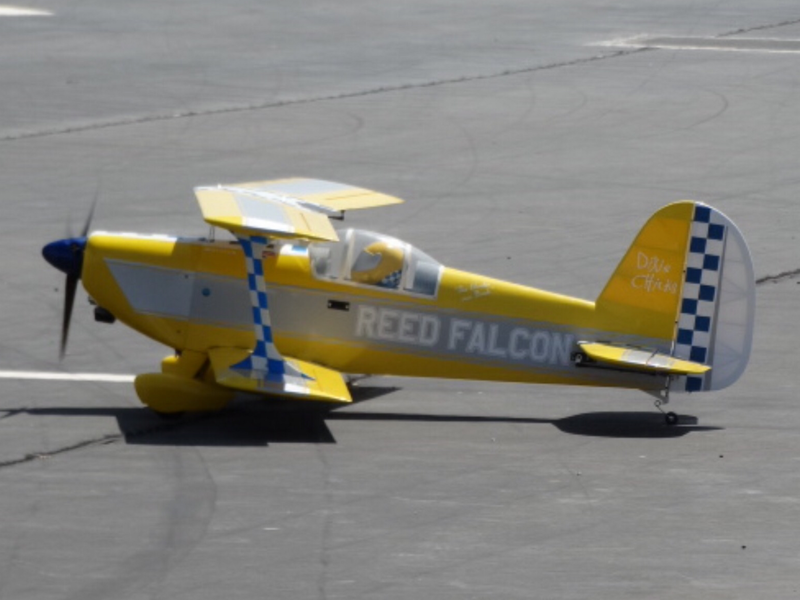 Here is the one I enjoyed the most, I was not aware the full scale airplane was aerobatic capable but if I were to compete with the model in scale competition I would emulate this guy's performance. Just for information, I DID compete in the 2018 Scale RC Nationals. What I learner was that I was WAY under prepared and under practiced. That won't happen again. I used a Hangar 9 bashed Super Cub, in "Fun Scale Novice". Came in last. Winner was a foamie T-28 that was well flown. Not sure what fun scale plane I will use. But I hope to use my Fournier in standoff scale. Thank You to everyone who has chipped in. I'll probably add weight incrementally. If I have a strong headwind, I may need to penetrate better. But maybe just throttle control would work too. Such a challenging hobby. Mentally and physically. Here in my neck of the woods we have a Scale Masters contest every year. It's on my bucket list to enter next year in fun scale. Got the airplane, just need to get together some documentation. I'm sorry but I have a problem with something molded out of foam and 90% assembled by some guy on the other side of the world taking 1st place in ANY scale contest. This to me is a prime example of what is wrong with this hobby. It's no longer what the individual can build but rather what they can buy! And that holds true to a certain extent in the other classes of scale too. Appowner, if memory serves me correctly a few years ago the Topgun scale contest either created a specific class for ARF models or simply started allowing them to compete in sport scale. This was done in an effort to bring new people into the sport. Over in the AMA forum you guys sit in front of a computer all day long griping about the direction the hobby is going, how the hobby is loosing members, there are no young people in our hobby anymore etc.......Then when something is done in an effort to bring people in the hobby such as this or free AMA membership to those under 19, discounted club memberships to youth and discounted club memberships to family members you complain about that as well. If all this is so important to you why not get off you computer chair and try to make a difference! Talk is cheap buddy.